Each student created a self-portrait in the style of Pablo Picasso. They used pencils and Sharpie markers to create their drawing, and crayons to add color. The final drawings are very intriguing! They used pencils and Sharpie markers to create their drawing, and crayons to add color. 21/11/2015 · Recently some of our children engaged in a self-portrait activity. Set up on a table was a mirror, some paper and black pens. I invited them to carefully look at their face in the mirror at all their beautiful features. After having a good look they then started to draw what they could see. 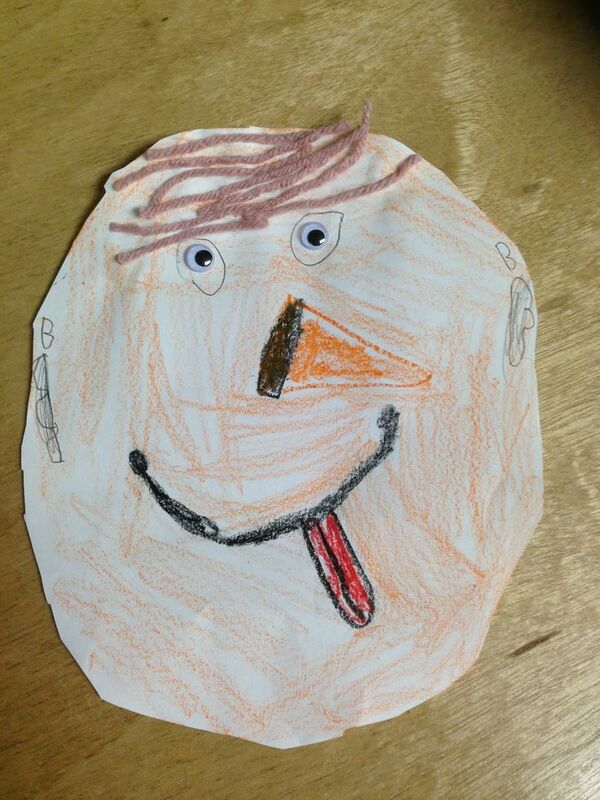 2/03/2014 · In kindergarten I give them an oval face shape to trace otherwise all of the drawings end up teeny tiny. On the first day of the lesson we trace the face shape and draw all of the features on the face, hair, and clothing. Here are a hand full of self portraits my kindergarten students created on the first day of art. They are untaught/coached...I just tell them to draw a picture of themselves on the first day....so I can see where they are at! The variety is amazing...and there is so much joy in some of them!! LOVE!!! !